Wrought iron bars on windows and doors, a traditional element of Spanish culture and architecture, are called "Rejas", meaning grills. Rejas may well date back to the 15th century, long before the use of glass became widespread. They used to be made of wood, and provided a means to keep things in, or out. Through the years wood gave way to metal and they started to become more and more decorative. Back in a time without glass windows, the rejas were means of keeping livestock from sticking their heads through an open window and helping themselves to food, etc. 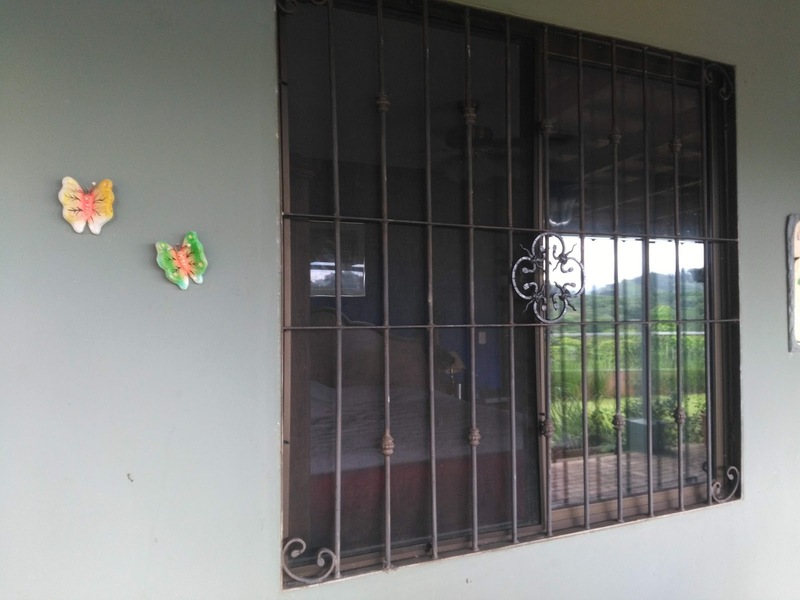 Rejas allow windows to be opened in a temperate climate, providing for better air circulation, yet at the same time, offer a level of security. Legend has it that rejas also allowed girls to be seen and courted without the need of a chaperone. 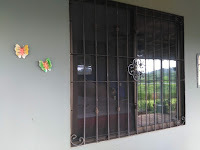 When we built our home seven years ago, it was understood that we would have rejas on our home, along with glass and screens on the windows. This was one of the best decisions we made. We haven't closed our windows since we moved in and the flow of fresh air, day and night, is wonderful. Many folks complain about bars on windows and doors, stating they feel like they are in jail and fear they couldn't get out in an emergency. In our case, during the construction of the house we made sure there would always be at least two ways out of any room. We installed hinged rejas for the second exit on rooms with only one door. I can assure you, once you live in a home with rejas, you will get to a point that you don't even "see" them. I could never go back to opening and closing windows everyday. Just thinking about having to close up the house to run errands would make me crazy. If your home doesn't have rejas, think about investing in them. 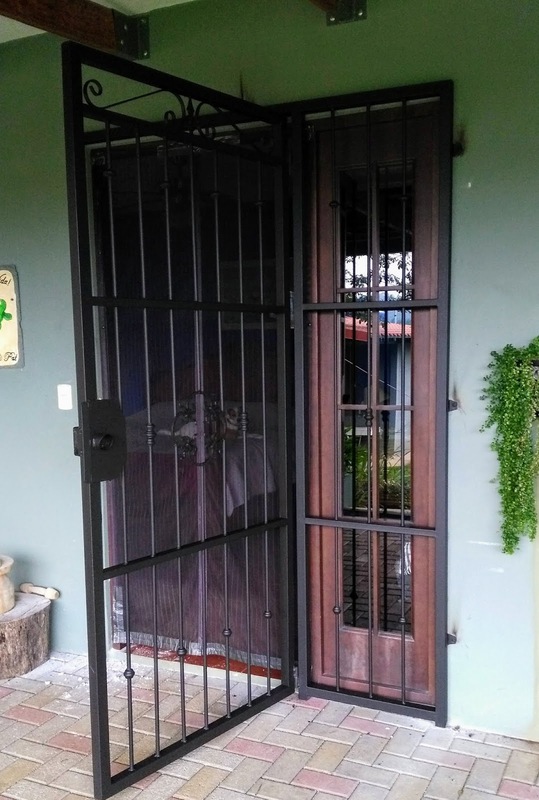 Decorative rejas can enhance the beauty of your home and offer the added security we all want.